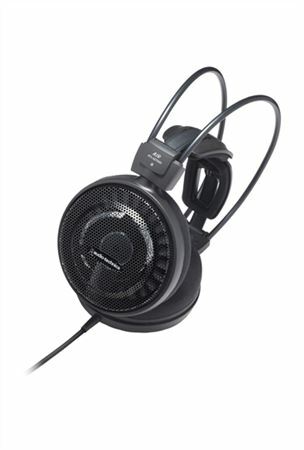 Shop Audio-Technica ATHAD700X Audiophile Open Air Dynamic Headphones from AMS with 0% Interest Payment Plans and Free Shipping. Unsurpassed comfort and a completely natural listening experience make the ATH-AD700X headphones by Audio-Technica ideal for long listening sessions. Designed with a lightweight honeycomb aluminum casing, these open-air headphones produce no sense of pressure on the ears. Audio-Technica’s newly designed 53mm drivers with bobbin-wound CCAW voice coils deliver spacious sound with superior highs and mids. The self-adjusting wing support automatically adjusts to your head size for easy-wearing listening comfort. A straight cord at the left earpiece terminates to a mini plug with included 1/4 inch adapter. A wide 5-30,000Hz frequency response make the ATH-AD700X headphones the perfect choice for producers and music lovers of all types.